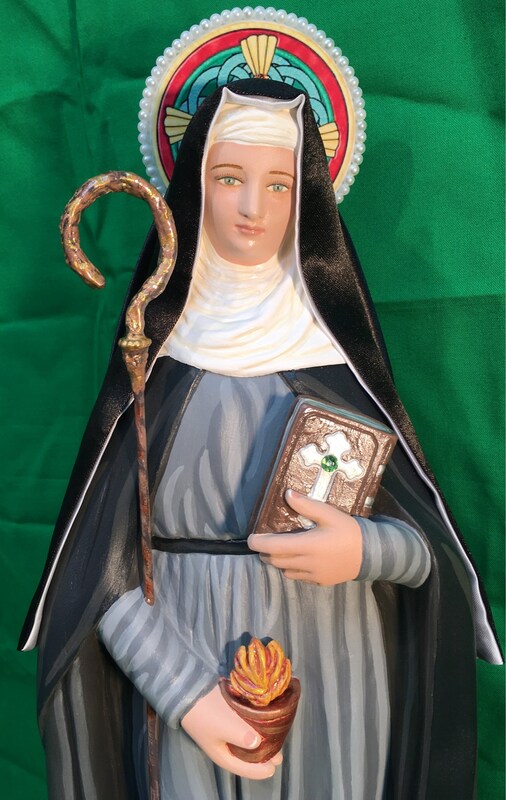 This statue features a divinely blissful hand painted face and details such as fingernails and eyelashes. 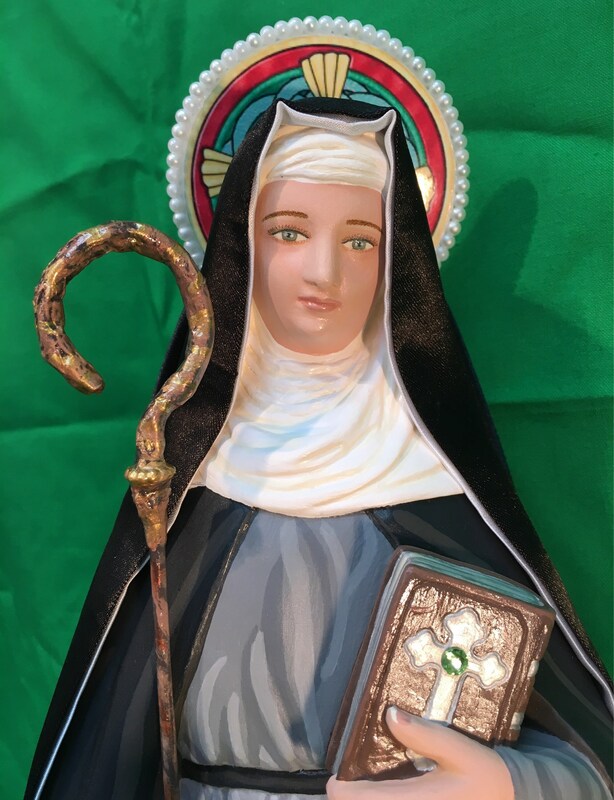 She wears a colorful halo with a woven straw cross design and holds a shepherd's crook in one arm and her book in the other. 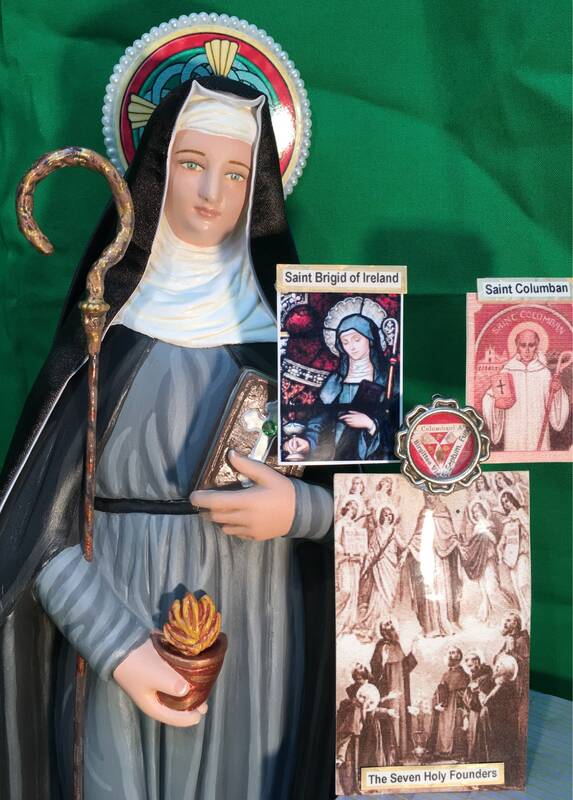 She also holds a bowl of "Saint Brigid's fire," in her hand, a miraculous fire which burned at her convent for centuries. 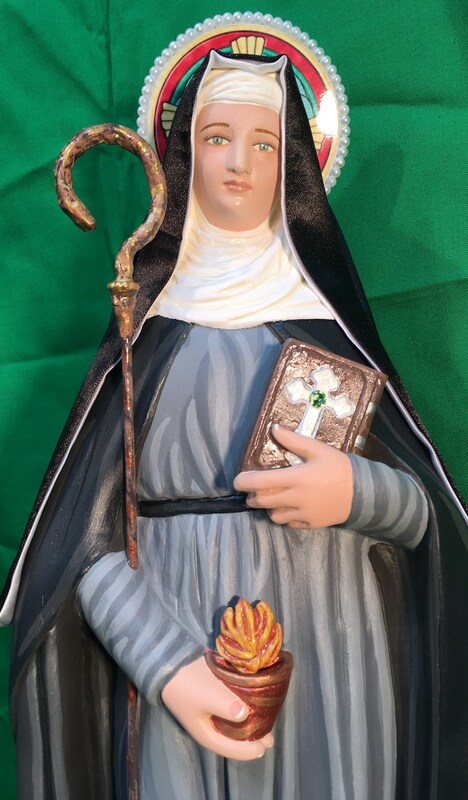 Your finished statue will be touched to a 1st class relic of Saint Brigid with special prayers. 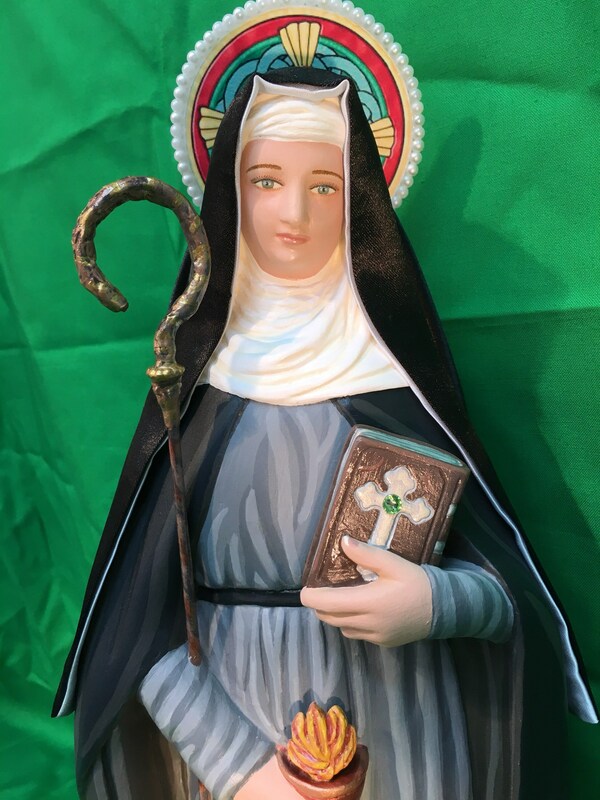 All our statues are handmade in the USA and are made to order. 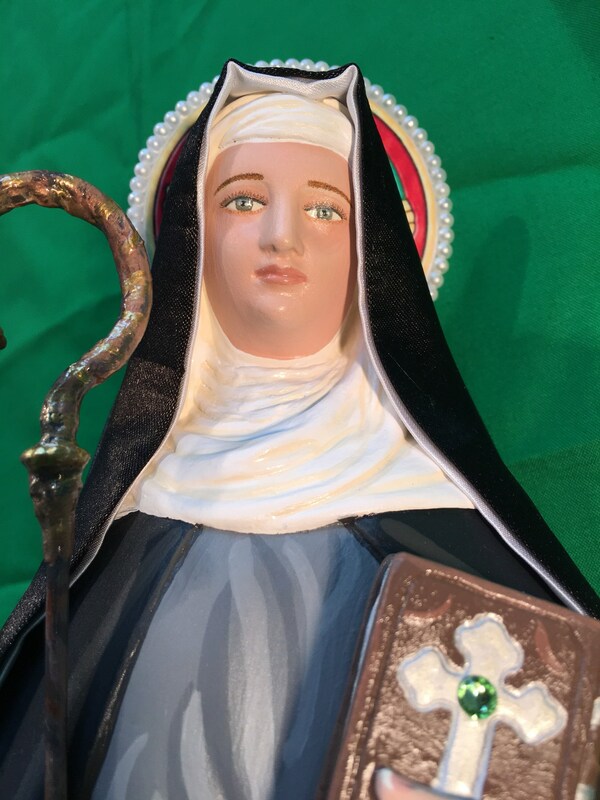 Please allow 5-10 weeks for us to make and ship your beautiful statue.